This book is bursting with vivid, entertaining illustrations that will attract even beginner adult learners. It includes verbs, adjectives, opposites, numbers, colors, shapes, and many other vocabulary themes. A complete bilingual index of the vocabulary, with a pronunciation gui... read full description below. 7+ Includes verbs, adjectives, opposites, numbers, colours, shapes, and many other vocabulary themes. A complete bilingual index of the vocabulary, with a pronunciation guide, is included in the last pages. 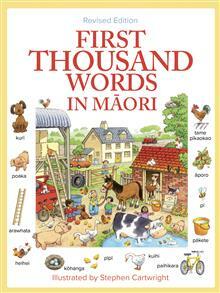 This is the Maori translation of the successful 'First Thousand Words' series published by Usborne. 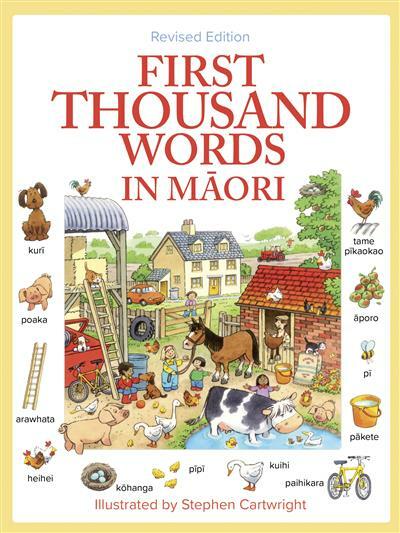 This book is bursting with vivid, entertaining illustrations that will attract even beginner adult learners.